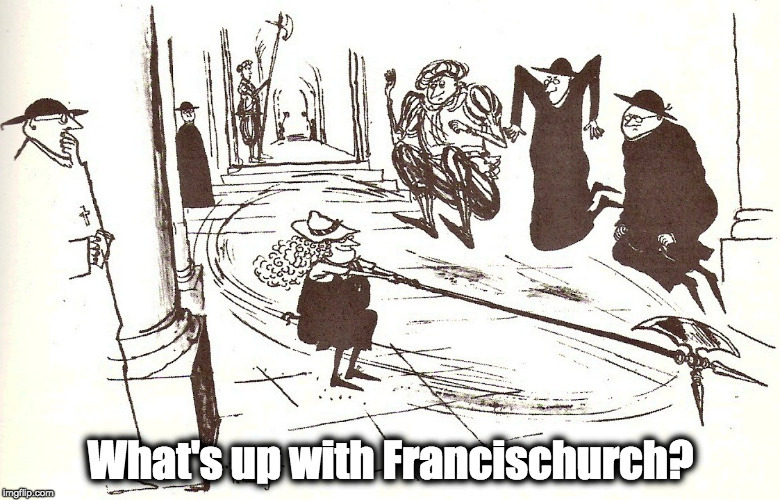 Pippy update – What's Up With Francis-Church? An afternoon on buses and in waiting rooms later, and we’re OK. The very kind team of vets and trainees were extremely nice to us, and gave him a sonogram. There were no intestinal blockages, but an inflammation of his small intestine that has given him a fever. The thing I was most worried about was that he’d dug a chicken bone out of the bin. It’s Pippin’s life’s work to tip over the bin and find something good, and I’d made chicken soup this weekend. They gave him a treatment of saline and antibiotics, but said he should be fine. He’s a young cat and normally very healthy and bouncy. The village vet, Sabrina, was wonderful; she called ahead while we were on the bus and they were expecting us. I do so love this country! Many thanks for kind prayers. And thank you, St. Gertrude. 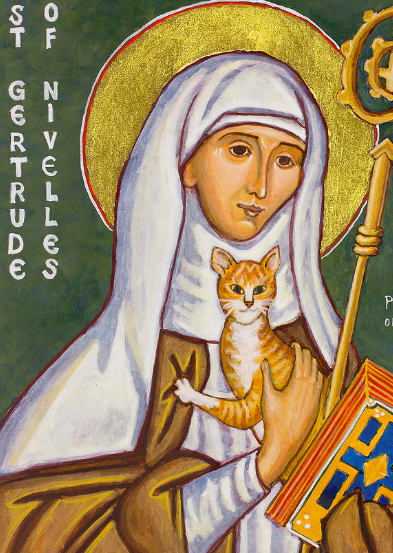 Please say a little prayer to St. Gertrude of Nivelles today. 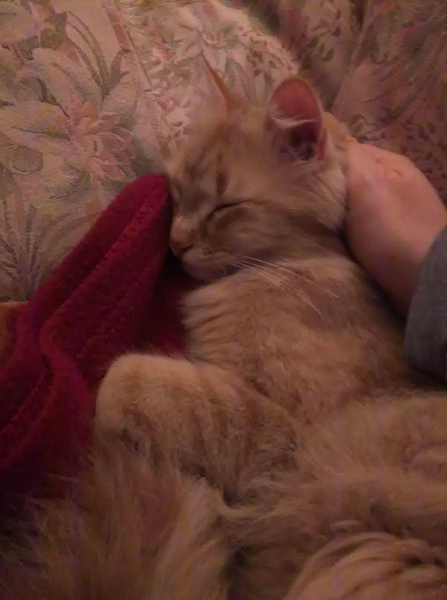 My sweet little Pippin is sick, and the local vet told me to take him up to Perugia’s veterinary hospital as quick as possible. She thinks he might have a blocked bowel, which is life-threatening. I have to take him up on the bus in an hour or so.